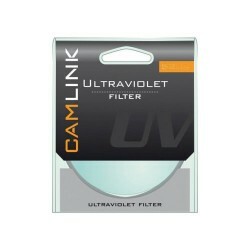 Using high technology optical lenses Camlink have produced a UV filter which absorbs unwanted light rays in the UVB, UVC and IR ranges, without affecting colour balance in the visible spectrum. The filters also acts as ideal lens protection for any camera lens. Available is sizes from 30.5 up to 77mm.